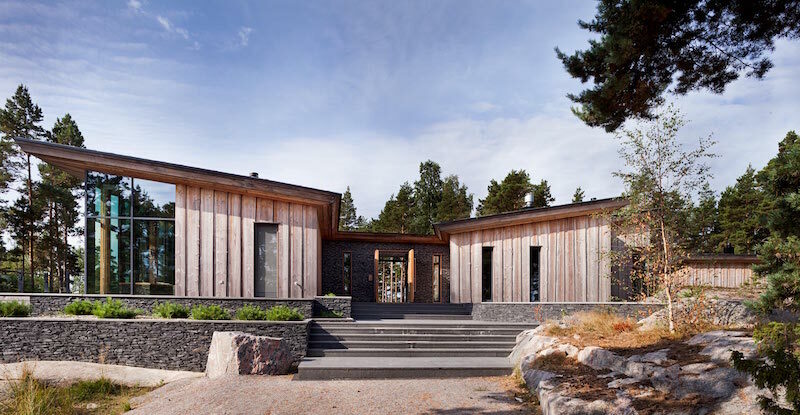 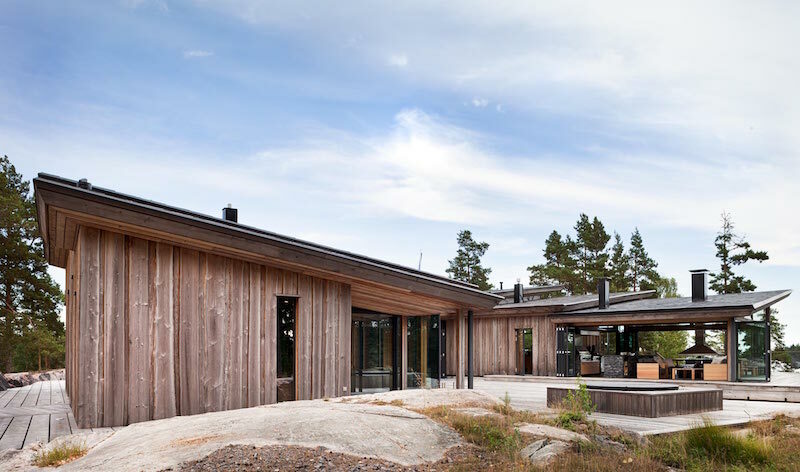 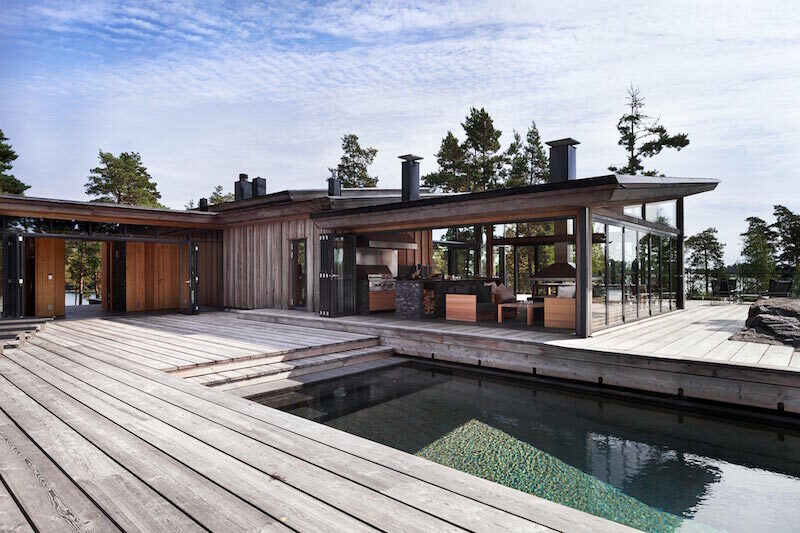 Blending with the surrounding environment, Villa Korsholmen in Finland by Joarc Architects shows great respect towards the Finnish archipelago and nature. 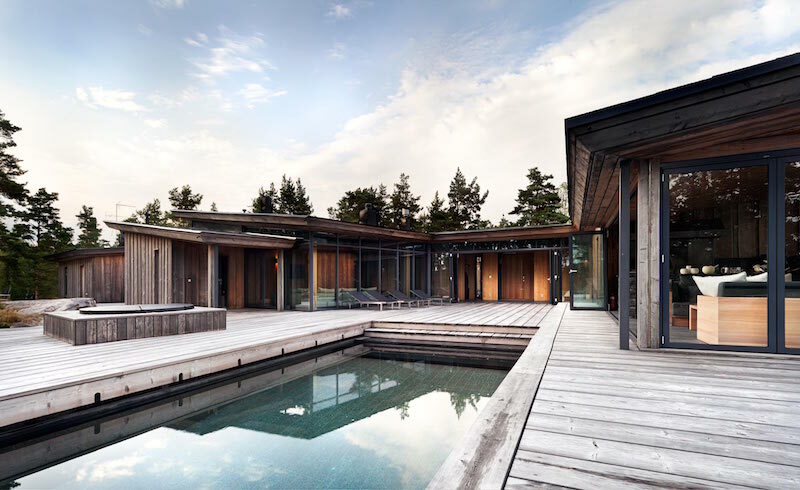 The atrium shaped house creates an inviting large terrace area equipped with a swimming pool. 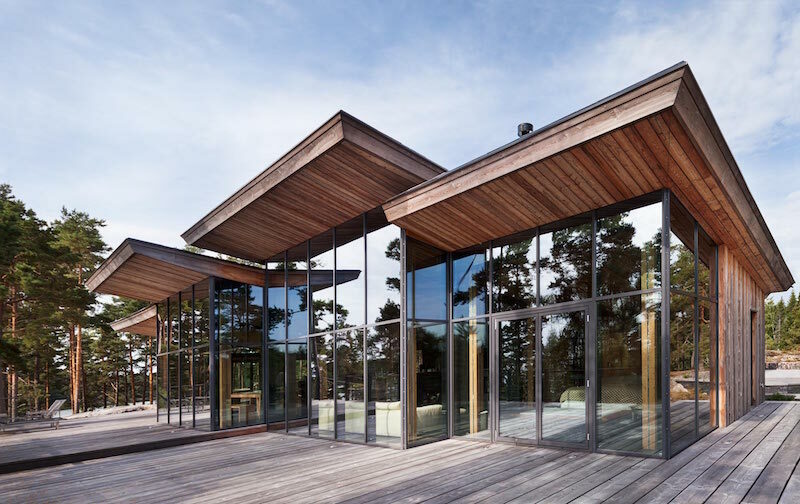 The high glass walls and windows multiply and reflect the natural light both outside and indoors. 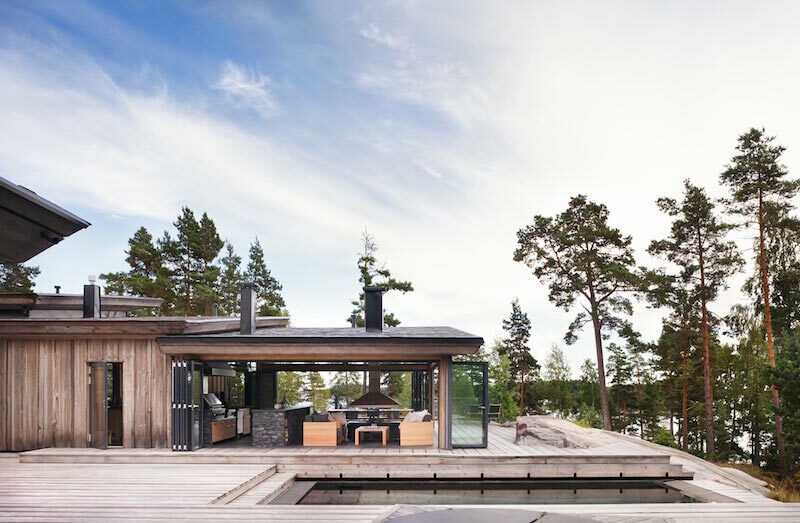 The earthy palette and the use of natural elements adapt the villa perfectly to its surroundings. 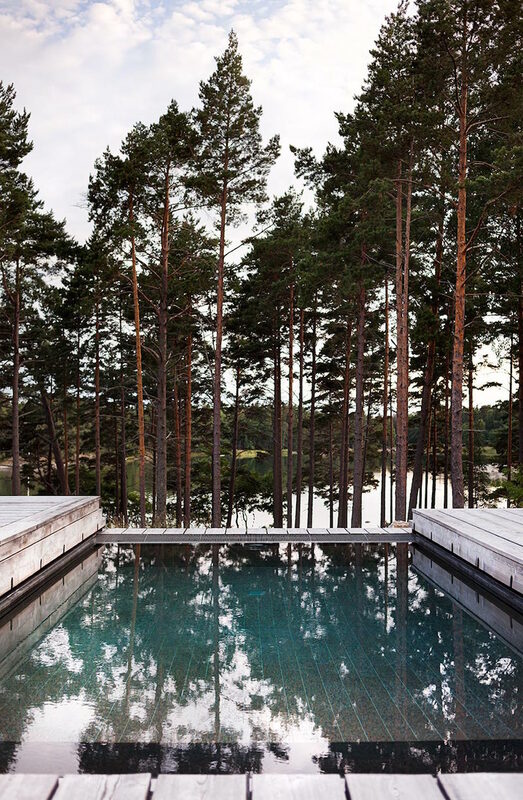 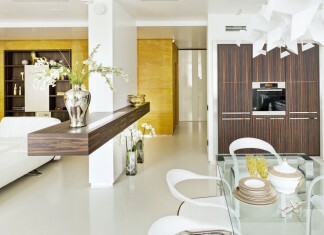 It becomes something very luxurious yet relaxed and mindful. 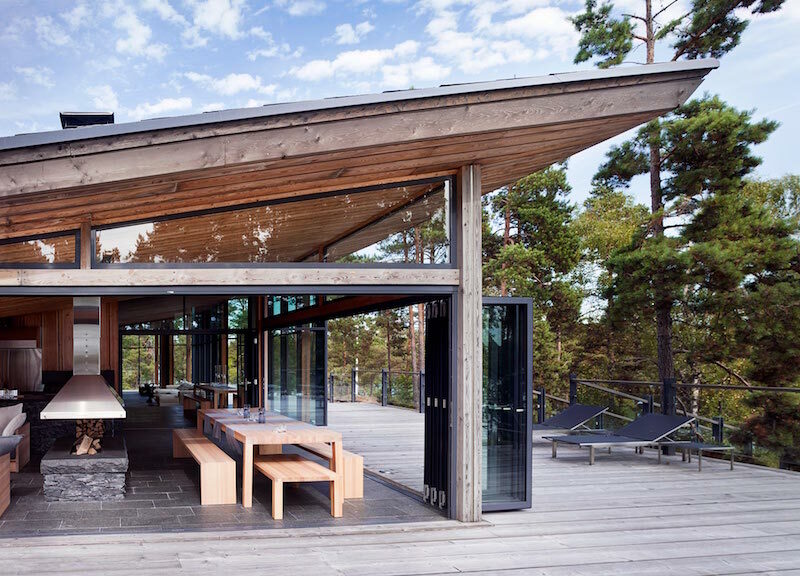 The terrace becomes one with the indoors, thanks to folding glass doors. 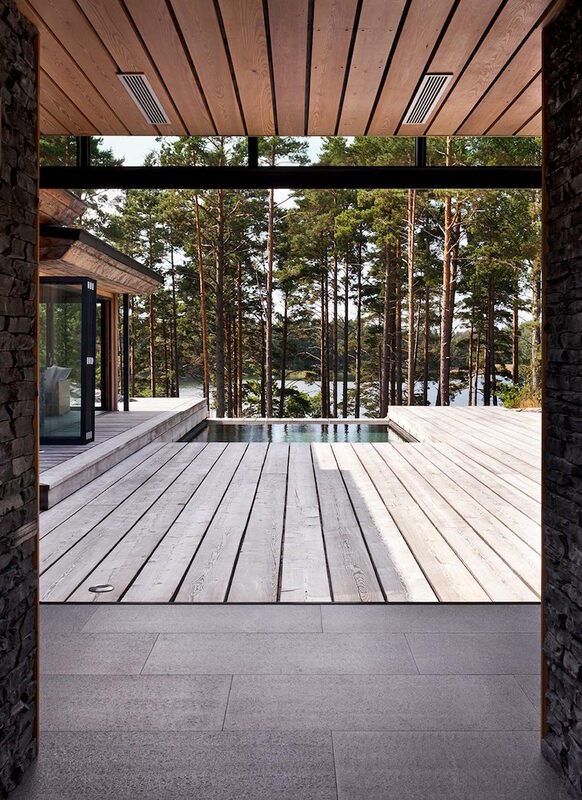 The same grey tone of the patio area and interior flooring creates a perfect continuum to maximize the time spend both inside and outdoors. 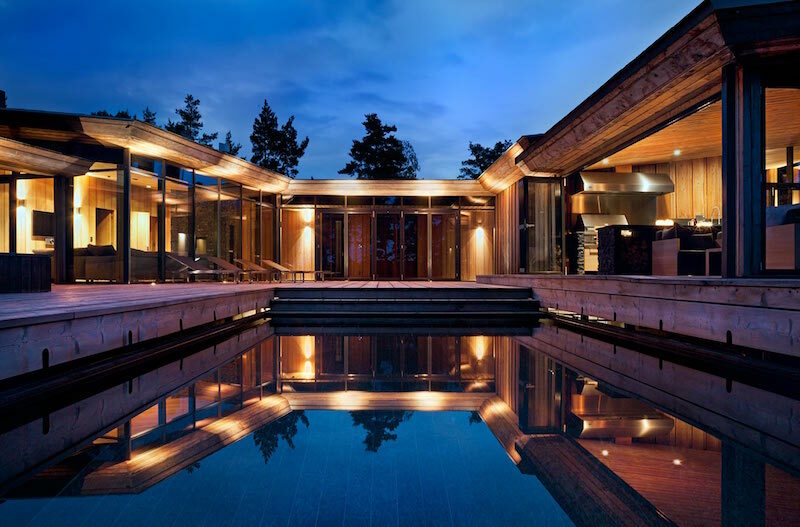 Get relaxed in the swimming pool while enjoying the beautiful views over the waters. 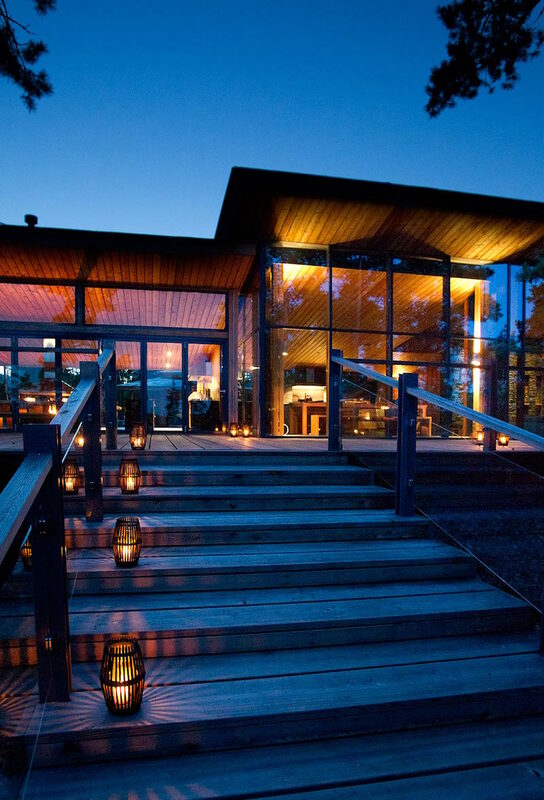 At night time the lighting emphasizes the great atmosphere and presence of the architectural details. 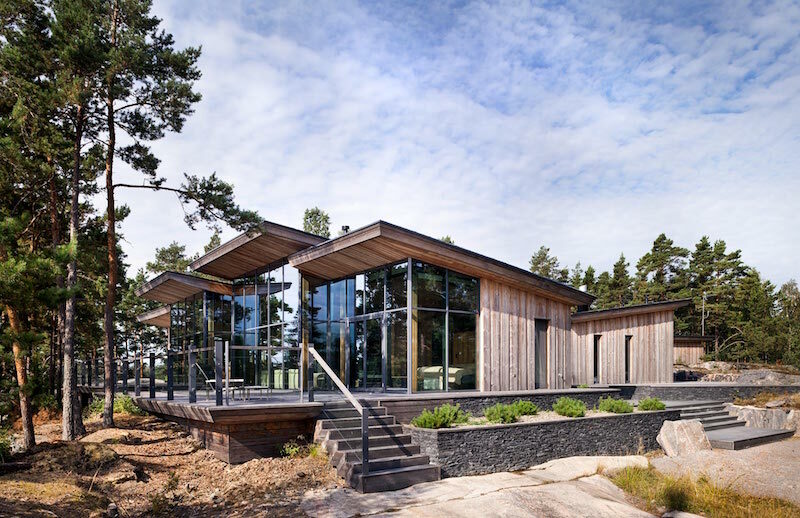 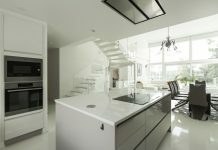 Feel free to browse other great projects by Joarc Architects presented at Hall of Homes.